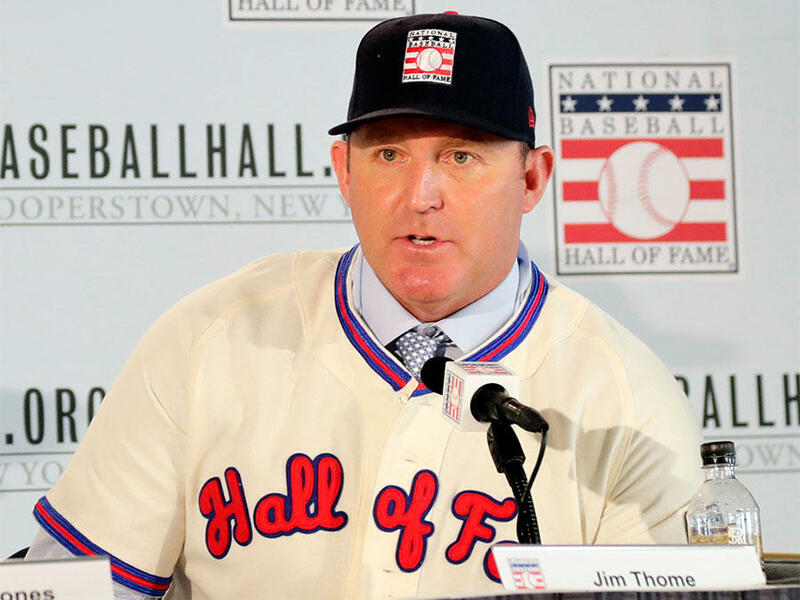 Baseball Hall of Fame inductee Jim Thome responds to questions during news conference Thursday, Jan. 25, 2018, in New York. Former Indians great Jim Thome will be inducted into the Baseball Hall of Fame this weekend. Thome played 13 seasons in Cleveland and amassed 612 career home runs. WKSU commentator Terry Pluto said the Peoria, Ill., native was never considered a top prospect. "Only one scout even thought Thome had pro potential," Pluto said. "It was Tom Couston, the Indians scout out of the Chicago area." Thome was playing for Illinois Central College. Pluto said Couston was actually scouting a player from the opposite team. "Thome hits a couple rockets, and [Couston] said, 'If we draft you, will you sign?'" he said. Thome said he would. The Indians selected Thome with the 333rd pick in the 1989 draft. "The Indians offered him a $10,000 bonus. 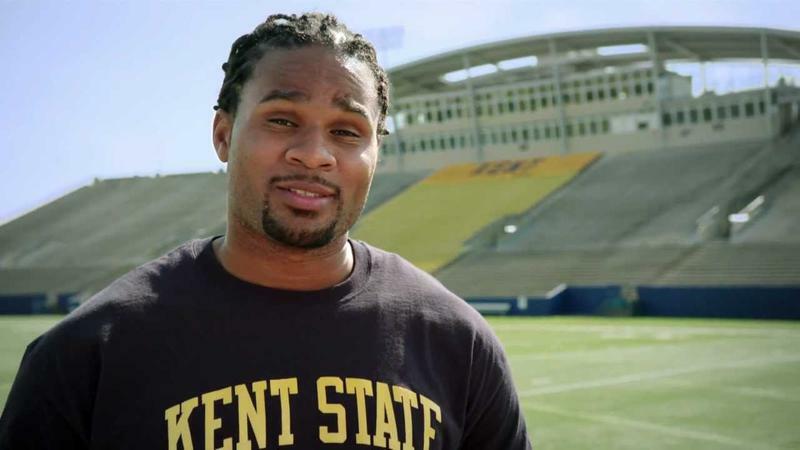 His parents countered with $15,000," Pluto said. Thome started at the Gulf Coast rookie league in Sarasota, Fla.
"It was the first time Thome had ever been away from his home in Peoria," Pluto said. He didn't hit any home runs as rookie in the Gulf Coast League. "But in the early '90s, the Indians are terrible, and they're looking for anybody. So they bring up a 21-year-old Jim Thome," Pluto said. "He gets a few hits here and there. Then his first home run was in Yankee Stadium. He hit this rocket into the upper deck." His career took off from there. 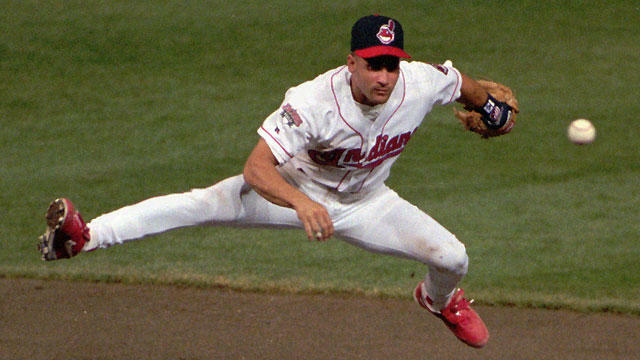 Before the 1994 season, the Indians signed Thome to a four-year, $10 million contract. Thome was known for a signature stance that included pointing his bat at the pitcher. And Pluto said that was Charlie Manuel's idea. "Thome always had different coaches that he gave credit to," he said. "Manuel was the Indians' AAA manager at the time. They walked into the clubhouse, and the movie The Natural was playing. In the movie, Robert Redford pointed his bat directly at the pitcher." Manuel said Thome should try it. They practiced it at the batting cages and then Manuel wanted Thome to try in a game. "Thome said he was fearful people would think he was acting like a hot dog or cocky. Well, he did point and hit a home run to left center field and another to right field. 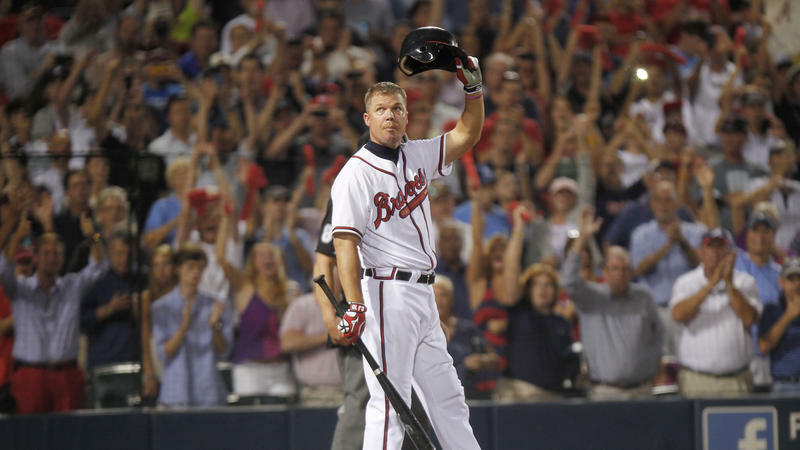 He went from hitting five home runs a year to hitting 25 that year in Charlotte in 1993," Pluto said. After the 2002 season, Thome became a free agent and signed a six-year, $87 million contract with Philadelphia. "Jimmy made the mistake of saying that he always wanted to play with [the Indians]. Fans hear that and think you'll never leave," Pluto said. But at the time the Indians were in cost-cutting mode. "They didn't want to pay Thome all this cash. So he went to Philadelphia," Pluto said. Thome went on to play in Chicago, Los Angeles and Minnesota before returning to the Indians in 2011. In 2014, after not playing since 2012, Thome signed a one-day contract with the Indians and retired. In 2014, the Indians unveiled a statue of Thome outside Progressive Field. "He's proud of it and embarrassed by it at the same time," Pluto said. "The day after they had the ceremony, Jimmy said to then-Indians president Mark Shapiro that he couldn't believe he hit 600 homers." "Jimmy was almost painfully shy and humble at times. It was drilled into him: Don't get too big for your britches," Pluto said. "He knew all the struggles he went through and was amazed at how it all worked together. " Baseball writers honored Atlanta Braves third baseman Chipper Jones and Cleveland Indians infielder Jim Thome in their first year of Hall of Fame eligibility Wednesday night, and also added San Diego Padres closer Trevor Hoffman and outfielder Vladimir Guerrero of the Montreal Expos and Los Angeles Angels. Not approved, again: ace pitcher Roger Clemens and home run kings Barry Bonds and Sammy Sosa, who have been strongly tied to performance-enhancing drugs.